Though Regensburg may boast one of Germany’s best preserved medieval districts and a picturesque setting on the Danube River, it has always been off the beaten tourist path. The city of 150,000 will never rival the popularity of Munich (74 miles away) and storybook towns in the Bavarian Alps, but it has gained a higher profile in recent years, thanks to the worldwide prominence of a former citizen. When Cardinal Joseph Ratzinger, who taught theology at the University of Regensburg, became Pope Benedict XVI in 2005, he put Regensburg and much of Eastern Bavaria on the map. Before Cardinal Ratzinger, the archbishop of Munich, ascended to the papacy, he had spent his entire life in Bavaria. 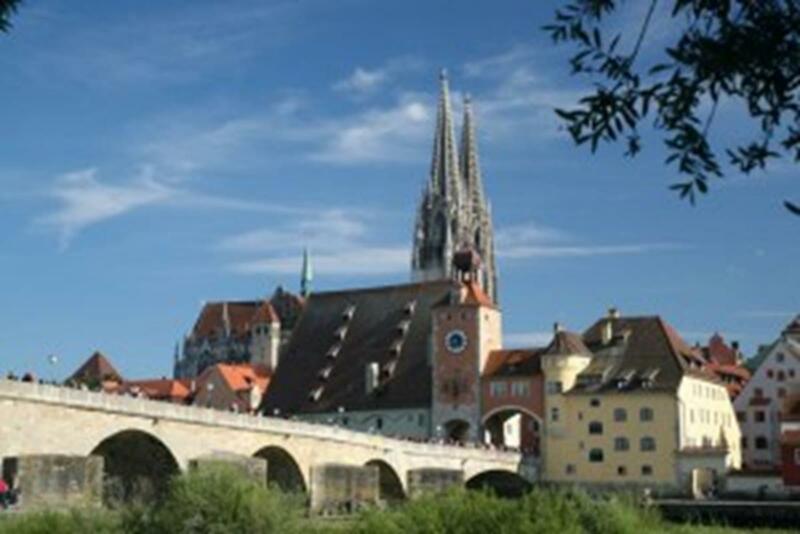 Tourists in Regensburg and the surrounding area can visit many sites associated with the first German pope since the 11th century. For 30 years, the pope’s older brother, Msgr. Georg Ratzinger, now 87, was the director of the world-famous Regensburger Domspatzen boys’ choir at Dom St. Peter (St. Peter’s Cathedral), a must-see in Regensburg’s Old Town. The Domspatzen (literally “cathedral sparrows”) is the oldest boys’ choir in the world and celebrated its 1,000th anniversary in 1976. The choir sings in the cathedral at 10 a.m. every Sunday, and its CDs are popular souvenirs. 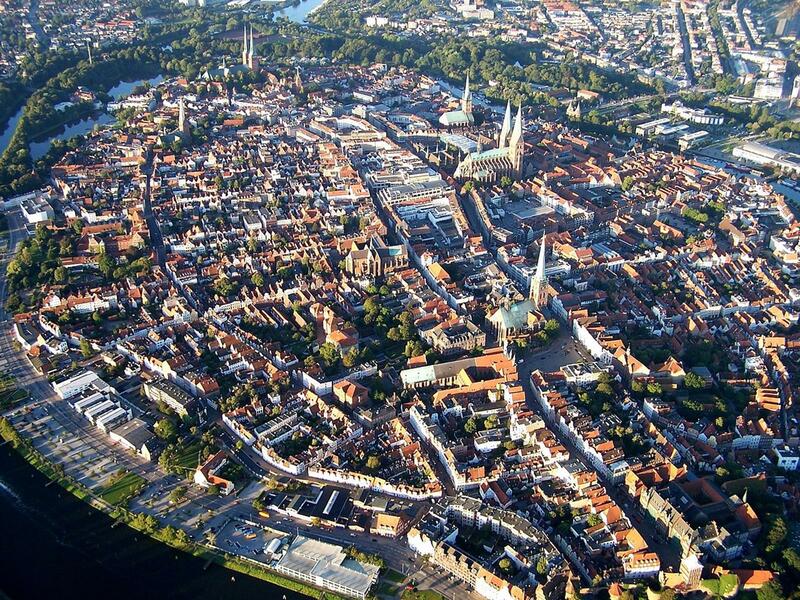 Begun in the 13th century on the site of an earlier church and finished 600 years later, the Dom can hold 6,000 people. A cathedral tour includes the cloisters and All Saints’ Chapel, an octagonal Romanesque building dating from the mid-12th century. Richly embroidered vestments and sacramental treasures are displayed in the cathedral museum. Nearby, the Alte Kapelle (or Old Chapel), despite a humble exterior, is worth a peek for its glittering Rococo interior, a symphony of gilt stucco, frescoes and sculptural excess. A marble sign commemorates the dedication of the new organ in 2006 by Pope Benedict. 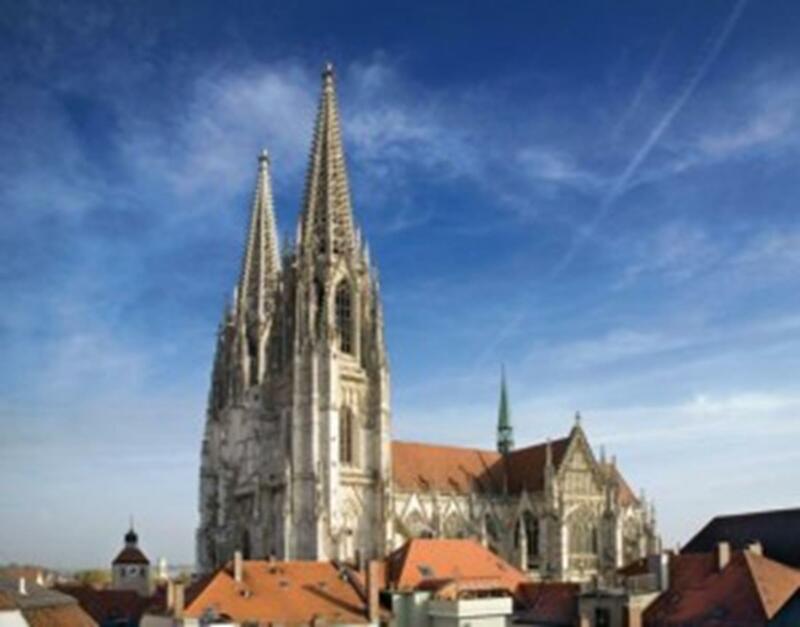 For groups, the Regensburg tourist office can arrange a 90-minute city tour that visits places tied to the life of the Holy Father, who has a home in the nearby town of Pentling. 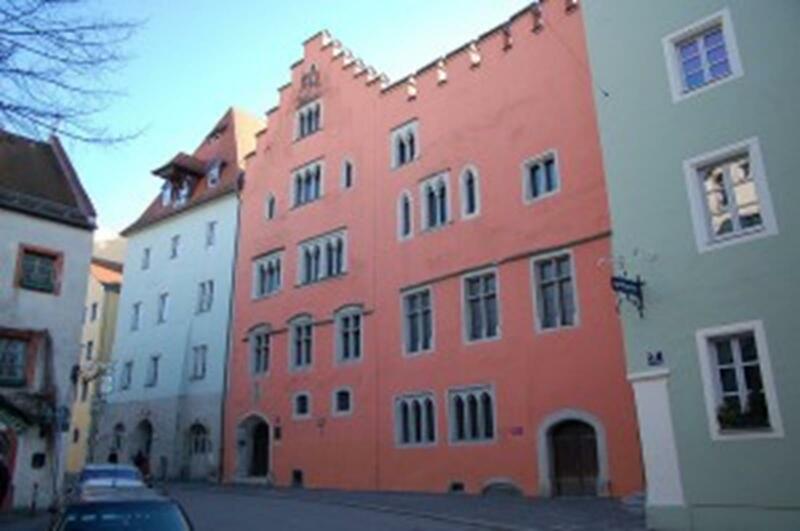 Another themed tour focuses on Regensburg’s role on spreading the Lutheran faith—in 1542 a majority of its citizens converted to Lutheranism. 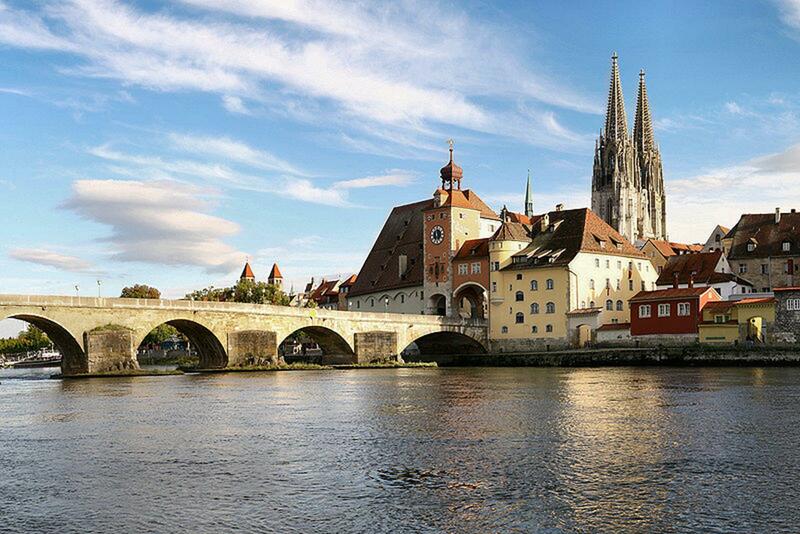 Regensburg, famed for its medieval quarter, lies on the Danube River in Eastern Bavaria. Regensburg’s Old Town, home to 14,000 residents and 1,200 protected buildings, is Germany’s largest medieval district. Many of the pastel stucco buildings date from the 14th to 18th centuries, though a few go as far back as the 1100s. Visitors can spend hours prowling the quaint alleyways, popping into small shops and lingering at outdoor cafes. Dampfknudel Uli, mentioned in many guidebooks, serves a Bavarian treat—the Dampfknudel, a steamed, sweet yeast-dough dumpling. The old quarter’s music clubs and wine cellars attract many of the 20,000 college students who give Regensburg a youthful vibe. The Hotel Bischofshof, a former bishop’s residence, has an atmospheric courtyard beer garden and a restaurant serving traditional Bavarian food. One of the dining rooms, the cozy, wood-paneled Pfarrstuberl (“parish room”), has ecclesiastical art and carvings, plus pictures of former and present-day bishops and cardinals, including two photos of Pope Benedict XVI. The menu features dishes like Schweinesbraten (slices of roast pork) in beer sauce and Schweinhaxe (leg of pork), served with potato dumplings the size of a baseball. Complemented by baskets of pretzels and rye bread, the meal can be washed down with Weltenburger beer, brewed by monks in nearby Weltenburg at the oldest monastery in the world that still makes beer. Mixed among Old Town’s cobblestones are “stumbling blocks,” gold blocks inscribed with the names of Jews who lived at the address before being deported by the Nazis during World War II. The block tells their date of capture and prison camp where they died. For the best sausages in town, head to the Historiche Wurstküche (Historical Sausage Kitchen), a fixture on the Danube riverfront for 850 years. Served with sauerkraut and sweet mustard made with honey and horseradish, the finger-size pork links are grilled over charcoal fires in a little hut with a cozy dining room. In summer you can sit at long tables on a cobbled area sloping to the river. The Stone Bridge, one of Regensburg’s most photographed sights, is a short walk from the Sausage Kitchen. Built from 1135 to 1146, the span of 16 graceful arches was considered an engineering marvel at the time. Sightseeing and dining cruises on the Danube are available. Other sightseeing highlights in town include the Thurn and Taxis Palace, which includes part of the former Benedictine monastery of St. Emmeran. The ancestral home of a family that pioneered European mail service in the 1400s and kept it a monopoly for centuries, it boasts a splendid throne room and ballroom, along with exquisite artwork and furniture. The family, one of the richest in Germany, still lives in the palace. Catholic travelers in Eastern Bavaria also will want to visit the town of Altötting, Germany’s most significant place of pilgrimage venerating the Virgin Mary. More than a million pilgrims a year visit the Chapel of Grace (built around 700) and its Black Madonna. As history tells it, a child drowned in a nearby river in 1489 and his mother took his body to the altar at the foot of a wooden statue of the Black Madonna. He was miraculously revived, and the news spread quickly across the country. The shrine was expanded with a nave and covered walkway. Today the small chapel, where the hearts of Bavarian kings are stored in silver urns, is one of many points of interest in this town of 12,000 near the Austrian border. 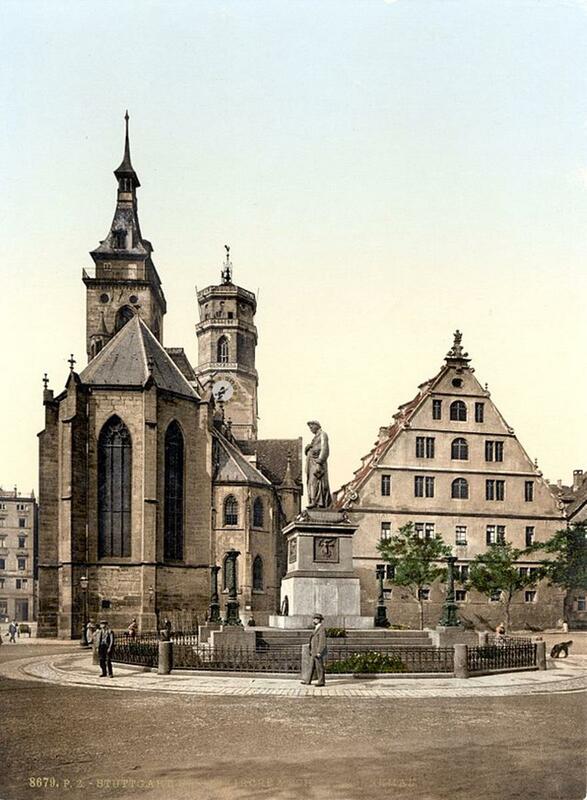 The late Gothic, twin-towered Stiftskirche (Collegiate Church) and the Neo-Baroque St. Anna’s Basilica are two of many churches within walking distance of Chapel Square, where Pope Benedict XVI celebrated Mass in 2006. Across from the Chapel of Grace is the New Ecclesiastical Treasury and Pilgrimage Museum, which is named for the pope, who has been familiar with Altötting since childhood. Another draw is the Crucifixion Panorama, a 360-degree painting (dating from 1903) that depicts events that transpired on Good Friday in Jerusalem. From May to October, candlelight processions take place from St. Anna’s to the square. The 154-mile Benedict Trail, a cycling trail that connects sites associated with the early life of Joseph Ratzinger, starts in Altötting at the Pope’s Linden Tree, planted in 1980 by Pope John Paul II. The circular route traces the footsteps of Joseph Ratzinger, visiting his birthplace in Marktl am Inn and homes in Tittmoning, Aschau am Inn and Traunstein. Touching the holiday regions of Chiemgau, Chiemsee, Inn-Salzach and Rosenheimer Land, the circuit includes many churches, abbeys and farm villages. Pope Benedict’s birth house in Marktl am Inn is marked by a commemorative plaque. Dating back to 1748, the building was formerly a customs house of the prince-electors. Benedict XVI was born here as the third child of Josef and Maria Ratzinger on April 16, 1927. Here are 10 suggested sites for religious travelers to visit while in Canada. How do you pronounce Des Moines? The early French trappist monks who named the river after themselves would insist on “day-mwan,” but since then the city’s inhabitants have grown to accept “duh moin” as the standard. Maybe the French would turn their noses in the air at their loose jowls, but they don’t run the city anymore. Des Moines is a modern place with an economy bolstered by agriculture, manufacturing industries and insurance companies. Cincinnati’s deep inland location allowed its first citizens to develop without many European influences. Because of this, people often call it the first purely American city. Rapid, industrial-era expansion promoted its nickname as the “Queen of the West.” Over time many German settlers populated the area now known as Over the Rhine. Examples of Greek Revival and Victorian architecture can be found in this neighborhood. Milwaukee serves as a tranquil location for religious travel groups with an abundance of religious sites. In addition, Milwaukee offers cruises, beautiful greenery, a variety of museums and a fascinating historical background.